Life started out simple, or so it seemed. There were two boxes — female/girl and male/boy. It was all supposed to be simple from there. We would walk down that female/girl path from that first breath to our last without variation. There were supposed to be few curves in this female/girl path, but that path was never a viable way for any woman. I am African-American, female, queer, an artist, activist, and so much more. I choose to live all of these aspects of my life out and authentically. You get the picture — I do a lot of things. The lines of my life are more than criss-crossing. Some days the lines are so blurred, it’s like I’m standing on the central island of a crazy intersectional roundabout pulling me in so many directions it’s at best challenging, if not totally overwhelming. I’ve got a full house in the game of “diversity and inclusion” but despite my education, accolades and perceived opportunities, the deck has still been stacked against me, because when too many look at that central island of my roundabout, they still see that female/girl box. We can go to space, lead companies, head foundations, serve in the military and, yes, raise families — but we are still women. They see that female/girl box and deal their “woman card.” Their woman card says, “Women can’t be effective leaders.” Their woman card says we can’t make decisions about our own bodies. Their woman card says our work isn’t worth the same amount as our male counterparts. In their deck, the “woman” card is the joker and this joker must be tamed, never wild. The “pink brick road” may be wider and go further than it did in the past, but the glass ceiling and the limited view of the abilities and value of a woman’s worth remains intact. If you had any doubt, just listen to the rhetoric of the current campaign. When they look at our gender identity, their woman card says lesbian love/relationships are “experimental” or for their prurient interest. When forced to face the legitimacy of our LGBTQ relationships, they insert the hate card to attack our families and insert their woman card, supposedly to protect women and girls, to attack our transgender brothers and sisters. With their “woman” card comes oppression, misogyny, disempowerment, repression and would turn back the hands of time not just for women but also for the country. But we have our own “woman” card. We’ve been keeping it up our sleeve as we’ve played each hand. We have overcome our fear of stepping into the intersections of our realities and our coming together to flex our collective muscle. We are throwing down our “woman” card and fighting for women’s healthcare. We are throwing down our “woman” card demanding safety for all women and girls, both cisgender and transgender, not only in bathrooms but in schools, neighborhoods and everywhere. We are throwing down our “woman” card for environmental and economic justice and for families — all families. We are throwing down our “woman” card because empowering women is a powerful strategy for reducing poverty and achieving other development goals globally. Come November, we all need to be marching to the voting booth humming that Sister Sledge anthem – “We Are Family!” Yes, we are family, and I need every sister with me. It’s time for all of us to play that “woman” card up our sleeve, and not just win this election but also change the whole game. I’m getting older. Aren’t we all? From the moment our lives begin, we are on that road to the end of life as we know it. I’m in pretty good health and most days the brain cells are functioning optimally. Like many folks I tend to live in the moment. For me “Every day you wake up on the ‘right’ side of the grass is a GOOD day! I probably haven’t spent as much time as I should planning for my golden years. You know, there’s always tomorrow! However, two films I viewed recently have had me thinking about just that. I wasn’t in a rush to see “Freeheld,” an adaptation of a documentary about a lesbian couple who mounted a campaign to have pension benefits of a terminally ill lesbian go to her partner. After all marriage equality is now the law of the land, so in most cases, this is a moot point. Right? But as I watched the film, I got to thinking about my pension benefits. You see for many years I worked for a Catholic institution and am entitled to a pension from that institution. I’m not married right now but have to wonder what will happen if/when I do marry and I try to change my beneficiary to my spouse what would happen. Would some bigoted review board, like that depicted in “Freeheld”, emboldened by proposed Religious Freedom Restoration bills, block my assignment of my benefits to her? With mergers and acquisitions there’s no telling who might hold the pension “purse strings” when the time comes. Pensions, like social security, are one of those benefits we pay into assuming they will be available when the time comes for ourselves and families. But even having access to these benefits and the ability to leave them to our spouses/partners is no guarantee that our final years will be golden. It’s bad enough that we in the LGBTQ community can still be fired for being gay, but proposed RFRA’s would exempt people from state and local laws if they can prove those laws violate deeply held religious beliefs, in effect, giving them a “license to discriminate.” What if I need assistance to stay in my home or long-term care? Could my safety or health be compromised just because someone’s “deeply held religious beliefs” would allow them to withhold or give me inadequate care? The question of who will take care of us as we age, is something we all wonder at some point. The documentary “Gen – Silent” took me deeper down the “rabbit hole” of LGBTQ senior living. The 2010 documentary follows the lives of three couples and a transgender woman facing the challenges of building support networks to assist them in maintaining their quality of life as they age. The people interviewed have for the most part lived “private lives” but like many from that generation have not been as “out” publicly as those of us from later generations. Often LGBTQ partnerships and marriages feel, to the couples, like it’s just the two of us against the world. We may not have extended biological families or children. Despite growing acceptance in the community at-large, many of us remain estranged from our families. The uncertainty of the quality of care or acceptance in healthcare/long-term care institutions is a reality and has many in the LGBTQ community wondering if we will have to go back “in the closet” one day if we are no longer able to take care of ourselves. Couple this with the fear of not having the financial resources to stay in our homes or maintain a decent quality of life, it paints a scary picture for aging LGBTQ people – very scary!! The good news is LGBTQ folks are great at making our own families and building our own networks. Our network/links are only getting stronger as we are “OUT” in our communities. This network now includes SAGE – Metro Detroit to fill in the gaps for our elders. Activist and revolutionary Grace Lee Boggs, who died at age 100 October 5th, often said “The only reward for good work is more work.” We’ve come a long way in a short time. We can serve openly in the military, get married and are gaining more protections through Human Rights Ordinances in municipalities across the country. Progress yes but there is still much work to be done. For those most vulnerable, especially our LGBTQ elders, the next chapter of our work must include being out for them so that their golden years and final days can be lived with dignity. Originally published on Cherrygrrl.com, May 15, 2011. 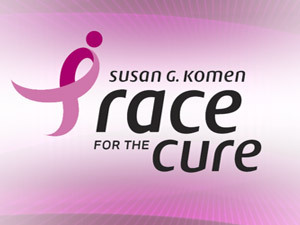 Across the country, every weekend in May, you can find a Komen Walk/Race for the Cure – a cure for breast cancer. Although many in the gay community think of the month of May as a staging period for June’s Pride activities, more and more each year I am seeing rainbow flags mixed in with the pink ribbons walking and running for the cure. It might not get the amount of publicity some of our other issues like Marriage Equality, Don’t Ask Don’t Tell or ENDA do, but breast cancer is a gay issue too and a cause in which we can find common ground, support and understanding with the community-at- large. Breast cancer is a life threatening reality for all women. One out of every eight women – that’s 12.6% of all women – will be diagnosed with breast cancer in her lifetime. And it’s not just women who are hit by this equal opportunity killer. Men can have breast cancer too. Male breast cancer is a rare condition but it accounts for about 1% of all breast cancers. About now you might be saying “Yes I Know.” Like me, you probably have purchased “Breast Cancer” stamps for your letters, made a contribution, have a regular mammogram, and at least try to do a self examination once in a while. But if you WERE like me you probably never actually thought of it as a LGBT issue. My sister, for the past few years, has walked in the “Breast Cancer Three Day.” When she first told me she was going to walk 60 miles over three days I thought she was crazy. But I knew her commitment to things she believed in. We had trained together for a marathon for stroke research following my parents’ death, which kicked our butts. So I knew she was serious and would do it – that’s my big sister. In supporting her I educated myself about breast cancer and learned a few things. I learned lesbians have a higher incidence of certain risk factors known to be linked to breast cancer. This is in part because many lesbians choose not to have children or delay becoming pregnant. Some lesbians may not know about risks factors in their family. Cancer just isn’t talked about in most families. There has been a stigma associated with it over the years. I spoke with one woman who, after she was diagnosed, discovered her grandmother had had breast cancer. If estranged from their family, a lesbian’s access to this information may be impossible. By far the greatest impact on lesbian health is the tendency for lesbian women to avoid seeking help or not returning for follow-up due to discomfort with the medical system. I’ve had conversations with lesbians who have delayed mammograms – sometimes for economic reasons or lack of medical coverage. This is especially true for groups more frequently found low on the socio/economic ladder. The statistics in the African American and Latino communities are staggering. 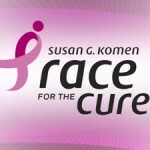 My sister isn’t doing the 3-Day in memory of a family member who had succumbed to breast cancer. To our knowledge there is no history of breast cancer in our family. But she is a woman. She has two beautiful granddaughters, friends, and coworkers. She never asked who was at risk or if the research would help any specific group or only heterosexuals. She started doing it to find a cure for all women. She is my SHERO. And each year when she would start training for the 3-day, I gave her 200% support. I wasn’t doing the 3-day but I did educate myself and started talking about it in my LGBT community. I began to see and talk about how healthcare along with other social justice issues are as much a part of LGBT issues as the marriage debate, DADT and ENDA. I also worked on me. I changed my eating habits, did monthly self-exams and had my mammograms, but was still at risk. I was concerned when my doctor told me they need to re-do my mammogram. I was annoyed I had to take another day off from work to be squished and squeezed in that machine again. My concern turned to worry when, after this set of x-rays, they called me back in again, then did a set on different equipment and then took an ultrasound before I was taken into a little room to wait to speak with the radiologist. I was shocked by the news that I would need a core biopsy and devastated when the result of that core biopsy was cancer. I had done all the right things, donated to Komen Foundation, ate right, exercised , had no family history, but I had cancerous cells in my left breast. The good news is that, because of advances in technology, my lump was found much earlier than it would have been with older technology. I have friends and family who were there for me. And I have a big sister who does the Breast Cancer 3-Day each year, walking 60 miles, who never knew back when she started this annual crusade for a cure – she was doing it for me. So amidst all your PRIDE preparations find a Komen Walk/Run in your area, take your rainbow flags, and walk or run in pride for a cure so that another sister, mother, friend, and possibly a lesbian, just like me, can be a survivor.